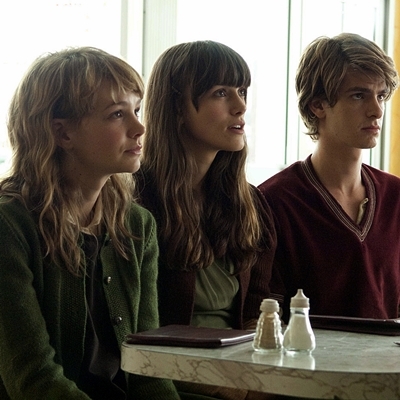 NEVER LET ME GO, 2010 American and British film directed by Mark Romanek, running time 103 minutes. 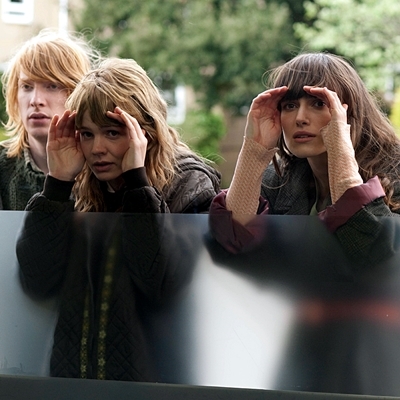 Drama, science fiction, this movie is adapted from the novel Never let me go by Kazuo Ishiguro. The shooting was at Ham House, a 17th century mansion, in the Hertforshire and Norfolk, in England. 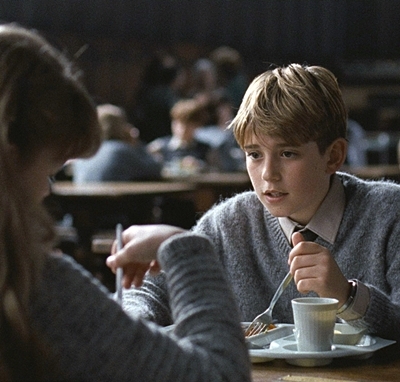 NEVER LET ME GO, film américain et britannique de 2010 réalisé par Mark Romanek, durée 103 minutes. Drame, science-fiction, ce film est adapté du roman Auprès de moi toujours de Kazuo Ishiguro. Il a été tourné à Ham House, un manoir du XVIIème siècle, dans le Hertforshire et le Norfolk, en Angleterre. Actors: Carey Mulligan, born May 28, 1985 in London, British. 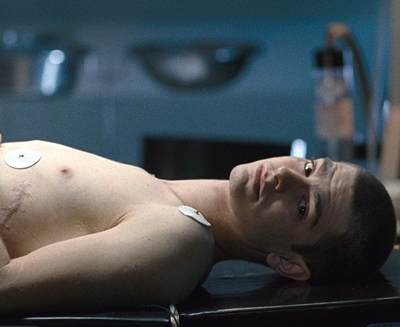 Andrew Garfield, born 20 August, 1983 in Los Angeles, American. 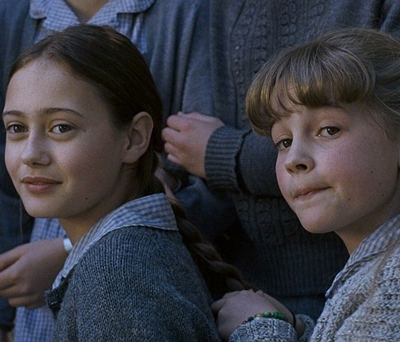 Keira Knightley, born March 26, 1985 in London, British.Charlotte Rampling, born 5 February 1946 in Sturmer, British. Acteurs: Carey Mulligan, née le 28 mai 1985 à Londres, britannique. 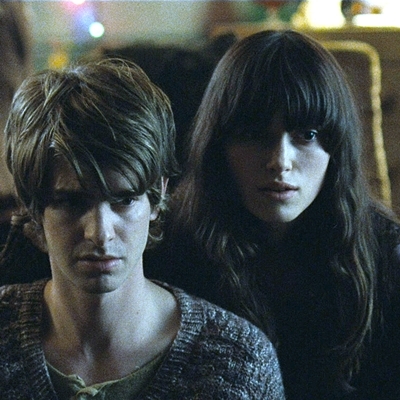 AndrewGarfield, née le 20 août 1983 à Los Angeles, américain. Keira Knightley, née le 26 mars 1985 à Londres, britannique. Charlotte Rampling, née le 5 février 1946 à Sturmer, britannique. 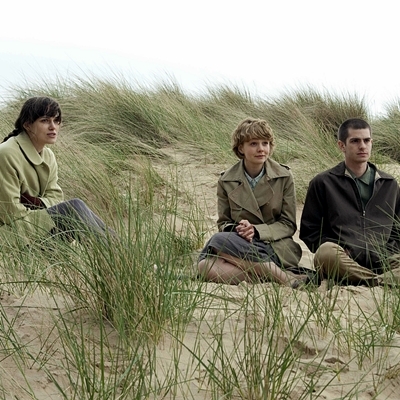 In 1952, a scientific discovery has permitted the human lifespan to be extended beyond 100 years.Kathy (Carey Mulligan), 28-year-old remembers her childhood at Hailsham with her friends, Tommy (Andrew Garfield) and Ruth (Keira Knightley). 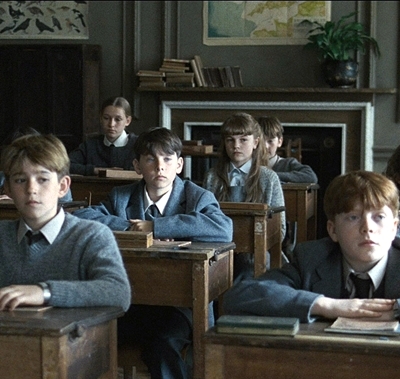 All children are boarders, but in reality they are prisoners into the walls of the school. Miss Lucy, a new teacher, informs the students they are clones only for transplants intended to give their vital organs when they are adults. 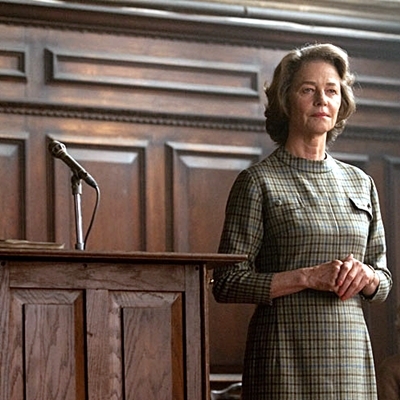 She will be sacked by the headmistress Miss Emily (Charlotte Rampling). En 1952, une découverte scientifique permet à l’être humain de vivre au-delà de 100 ans. 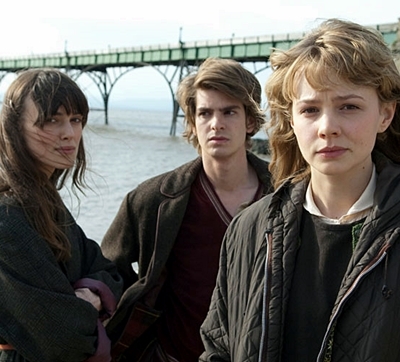 Kathy (Carey Mulligan), 28 ans se souvient de son enfance à Hailsham avec ses amis, Tommy (Andrew Garfield) et Ruth (Keira Knightley). Tous les enfants sont pensionnaires mais en réalité ils sont prisonniers des murs de l’école. Miss Lucy, un nouveau professeur, sera renvoyée par Mme Emily (Charlotte Rampling) pour avoir révélé aux étudiants qu’ils sont des clones destinés à donner leurs organes vitaux lorsqu’ils seront adultes.